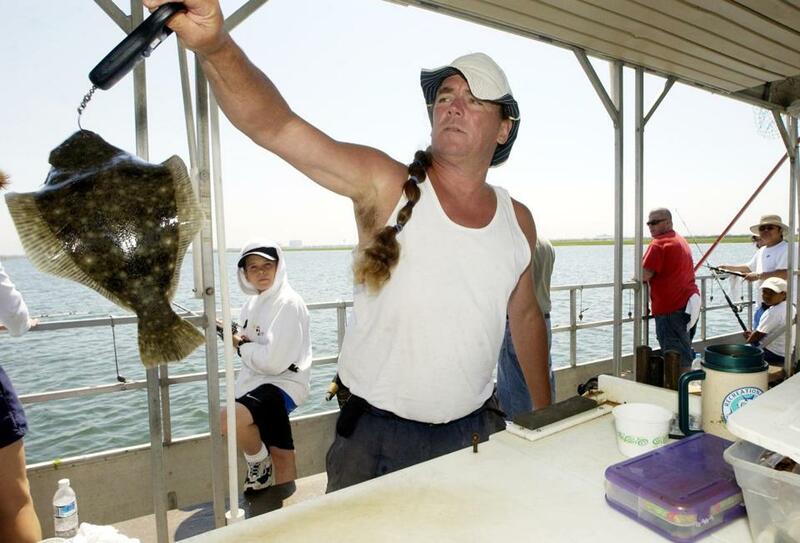 First mate Michael Mulveen weighed a fish aboard the Duke O&apos;Fluke fishing boat during an outing in the Great Egg Harbor Bay near Somers Point, N.J. The Trump administration, in an unprecedented decision, has rejected the recommendation of a commission that has long overseen fishing issues along the East Coast, raising deep concerns about political meddling in the ongoing preservation of fragile stocks from Maine to Florida. 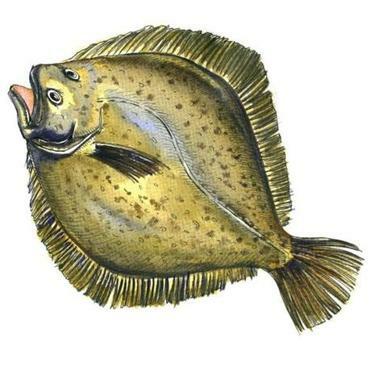 More specifically, the decision by Commerce Secretary Wilbur Ross has stirred worries about the consequences for summer flounder, one of the most fished species in the Northeast. The decline of summer flounder could have a wider impact across the region’s marine ecosystem. Ross earlier this month dismissed the findings of the 75-year-old Atlantic States Marine Fisheries Commission, which concluded that New Jersey was violating a conservation plan for summer flounder that all the other states in the compact approved. Many conservationists thought that New Jersey, while following protocols, was bowing to the fishing industry. “The commission is deeply concerned about the near-term impact on our ability to end overfishing on the summer flounder stock as well as the longer-term ability for the commission to effectively conserve numerous other Atlantic coastal shared resources,” Douglas Grout, the commission’s chair, said in a statement. The decline of summer flounder could have a wider impact across the region’s marine ecosystem. Millions of pounds of summer flounder, also known as fluke, are caught every year by commercial and recreational fishermen between Virginia Beach and Cape Cod. But the commission — an interstate pact established by Congress to manage migratory fisheries — has determined that fluke are being overfished, with an estimated population that is 42 percent below the level regulators consider to be sustainable. The commission has reduced catch limits significantly since state and federal surveys found the fluke population had plummeted by nearly one-quarter since its 2010 peak. But if the population falls another 14 percent, reaching a critical threshold for the ability of the fishery to rebuild, commissioners will be required by their rules to reduce quotas drastically or implement a region-wide moratorium on catching fluke. Officials in New Jersey, which has one of the region’s largest fluke populations, had drafted an alternative plan that they said would do more to protect the fishery, but it was rejected by the commission, whose scientists concluded the plan would result in nearly 94,000 additional fish being caught. Ross, who oversees the National Oceanic and Atmospheric Administration, overruled the commission, allowing New Jersey to proceed. The move infuriated commissioners and fishing officials throughout the area, as well as the region’s NOAA officials. They said it was unprecedented for a Commerce secretary to make a decision without seeking their input. Such rulings are routinely vetted by NOAA’s regional officials and scientists, who review the commission’s recommendations and then prepare the agency’s response, they said. Bullard, who has served as regional administrator since 2012 and plans to retire in December, said that the “chain of command was broken with this decision” and that fishing officials throughout the region would gather to discuss the potential repercussions. Officials from the Baker administration who oversee fishing issues declined to answer questions about Ross's decision. But they said that executive committee members of the commission, which includes officials from Massachusetts, have asked the secretary to justify his decision with supporting material. Officials from the Commerce Department also declined to answer questions. A spokesman for the department agreed to provide a statement but only if his name wasn’t used. “The long-term sustainability of American fishing stocks, as well as the jobs that rely on them, are of the utmost concern to Secretary Ross,” the statement read. Fishing officials from New Jersey did not return calls, but they issued a statement praising Ross’s decision. The commission’s conservation plan would have required recreational fishermen in New Jersey to throw back nearly all fluke under 19 inches, catch no more than three fish a day, and go to sea a maximum of 128 days a year. Similar limits apply to all states with fluke in their waters. New Jersey’s fishermen argued that those limits would make it difficult to catch any fluke other than brood stock, the large females that replenish the population. The secretary’s decision, affirming the state’s plan, allows fishermen to catch fluke an inch smaller and keep four of them per day. However, the state will only allow the fishermen to take 104 trips to sea a year. 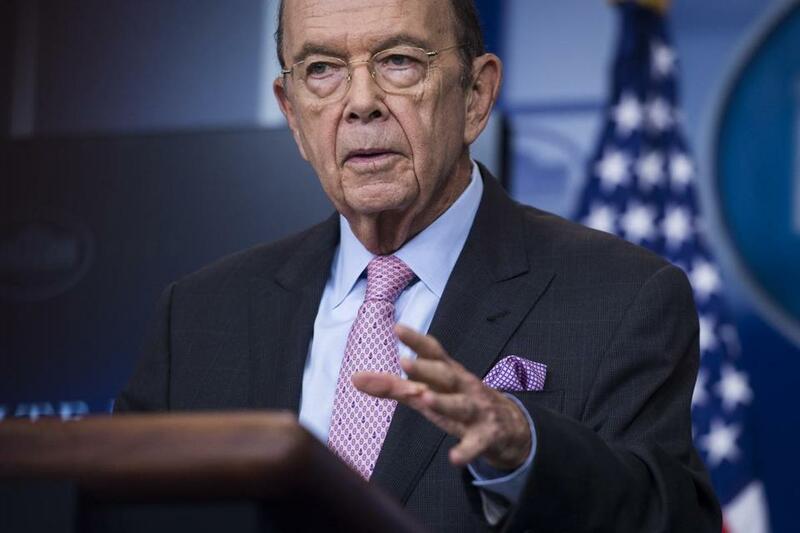 Commerce Secretary Wilbur Ross, who oversees the National Oceanic and Atmospheric Administration, earlier this month dismissed the findings of the 75-year-old Atlantic States Marine Fisheries Commission. But fishing officials elsewhere worry that Ross’s decision could open a Pandora’s box, in which states feel free to reject the commission’s findings and appeal directly to federal authorities. Some also raised concerns that Ross’s decision may have been influenced by President Trump’s close relationship with New Jersey Governor Chris Christie. Bob Ballou, assistant to the director at Rhode Island’s Department for Environmental Management, said he’s already hearing “cries of fouls and unfairness” from fishermen in his state, urging Rhode Island to go its own way as well.